Summer Route: We head east through the farmlands of the Joaquin Valley to Yosemite National Park. This 1,200 square mile wonderland of forests, lakes and waterfalls is located in the Sierra Nevada. Stop at El Capitan, Bridal-Veil Falls, and Half Dome to continue for a walk from the Yosemite Visitor Center to reach one of the highest waterfalls in North America (730 meters) Yosemite Falls. Winter Route: We start the day with a tour of Monterrey to include the wharf and Cannery Row after our tour we depart south a visit to the world famous Hearst Castle. Built by the newspaper baron William Randolph Hearst, tour the famous house filled with antiques and see why the castle served as a playground for the rich and famous for the first half of the 20th century. In the evening, drive south towards Las Vegas. Overnight at the Comfort Suites Stevenson Ranch. Today’s route is east through the desert and Death Valley to arrive at the gambling capital of the world: Las Vegas. We stop for lunch at the outlet mall in Barstow, which is filled with all the famous brand names like, Levi’s, Nike, Reebok, Timberland, Ralph Lauren and more. In the evening we take a tour of the strip to see some of the truly amazing hotels and fantasies that are built in the middle of the desert, such as Caesar’s Palace, Luxor, Mirage, Paris, Venetian, Bellagio, New York New York, Treasure Island and more. Finish off the evening at one of the many shows or try your hand at one of the many casinos’, who knows maybe lady luck will be smiling on you tonight. Overnight: Linq Hotel. We start the day traveling South East through the desert and the through the Navajo Indian reservation before we come to the South Bank of “One of the 7 wonders of the world” the Grand Canyon. 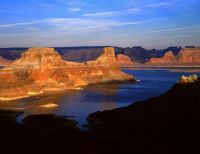 Tour along the south bank and learn how throughout the years the Colorado River carved its way down to the sea and created the wonderland for geologists. After lunch we continue along the canyon east stopping at some of the many Indian market places to browse the handmade arts and crafts. Overnight – Clarion Inn Page. After breakfast we depart to the Lake Powell considered one of the most beautiful lakes in America, enjoy a boat cruise on the water and see the hundreds of private coves and the famous salt pillars and famous sand arches unique to the area. 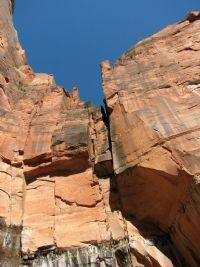 After the cruise we head west to Bryce Canyon home to the most amazing natural sculptures of the world. Our tour will take us to see amazing rock and sand sculptures honed to perfection over thousands of years of rain wind and sunshine. Experience the unique changing of the colors during the sunset from one of the vista points in the park (may change due to changing sunset times). After the visit we head towards the town of Kanab. Overnight: Days Inn. On certain departures tour will continue to Cedar City for overnight at the Comfort Inn, Cedar City. After breakfast we head into Zion Park. This park got its name from the Mormon’s the settled in the area. They gave it this name after claiming that visiting the park is like a religious experience, the majesty of the mountains and silence of the wilderness make you feel like you have been transported to another place. Tour the park and enjoy a short walking trail along the Virgin River that runs through the park, before leaving this amazing area for an early evening arrival in Las Vegas, option for a late night return to Los Angeles. • Bay cruise in San Francisco & Admission to Yosemite National Park.